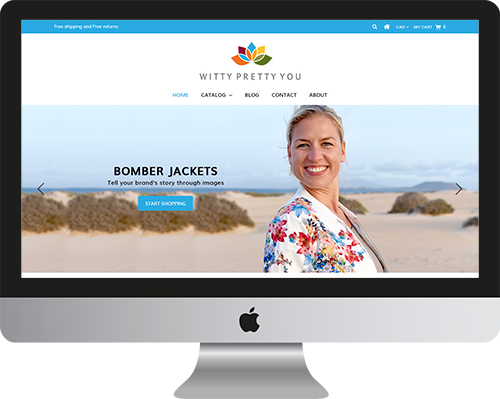 Our friendly team of professional shopify designers will work with you to create your perfect online store. Whether you own a small business or a large enterprise company, we provide ecommerce solutions for all type of businesses. We specialize in custom Shopify design and development work. Shopify is one of the leading ecommerce platform these days which provides you a number of features like a user friendly interface, shopping cart, order management, dropshipping blog integration, a huge theme store to select best theme for your store, email templates, multiple payment gateways, shipping carriers and lot more. We design and code responsive shopify store design that can enhance your sales online. The store site that we provide are SEO ready and designed for better sales. We try to provide you a custom designed site with everything manageable easily from your Shopify admin panel. Looking for a quick shopify site using a theme? Contact us and we will setup the best theme for your site from shopify shopify theme store. We will also design some banners for the site. We can provide you a custom designed shopify site that can fit your brand identity. Sometimes the readymade themes are not sufficient for your site so custom design site works best. We design mockups in this and do the site based on that. We can do a bilingual theme for your shopify ecommerce website. Shopify doesnt provides a bilungual theme on their theme store but we can do a custom theme for you to provide bilingual support for it. We assign a project manager for each client who will be your single point of contact and responsivble for all the communication with you. He will be in touch with you till end of job and also after that as well. Our Project Managers are well trained and are easily reachable by skype, phone or email. No matter whats the size of the job, communication will be equal for all clients. The team at Expert Village have been nothing shy of awesome! They quickly helped with my requests and issues and updated exactly what we needed. When more issue arose, Amit was on top of it and helped to rectify it and helped with a few other techno issues I was unable to address. The project should have taken a day or 2, but a few weeks later Amit was still working on it and keeping me updated. I will be back for more knowing the service is excellent and the knowledge unparalleled compared to a few other service providers I've recently dealt with and I've walked away a VERY happy customer. I had a great experience recently with Expert Village. Quick to respond to emails, finished work as requested and was very honest about work outside their capabilities. Thank you! Will definitely hire them again for future updates. My experience with Expert Media Village was nothing but outstanding! They responded immediately to my request for setting up my Shopify store, even before any other Shopify expert did. I was a little hesitant before I made my decision with working with them because I wasn't really satisfied with some of the graphic and web designers I worked with in the past and I really couldn't afford wasting any more money. I was working with a small budget and every other Shopify Expert that reached out to me I felt like were too expensive for what I needed done . Expert Media was the most affordable so I decided to give them a go. One of the most important thing that we need in a ecommerce system that it should be easy to use for non technical people as well. User should be easily able to add his products, check order history, play with themes, add new features by using apps etc. Shopify support team is too supportive and fast. As soon as you contact the live chat support, you will find yourself next in queue most of the time. So there is very less wait time. The support team helps you in all the cases whether you need some help in product setup, order management etc. SEO is the key benefit in SHopify as it comes with a well structured and organized system for seo. You can easily modify the meta details of your store. There is no hassle for you in shopify to buy hosting plans, worry about the bandwidth, space and all. Shopify provides you unlimited bandwidth, a hosting for the site, and a.. There is no hassle for you in shopify to buy hosting plans, worry about the bandwidth, space and all. Shopify provides you unlimited bandwidth, a hosting for the site, and a storage space as well. So you dont have to worry about hosting plans and all. Shopify themes are customizable, which you can customize by the help of any Shopify Expert easily. The themes have been coded in liquid files. Shopify App Store provides you a number of apps, both free and paid, by which you can enhance your store functionality and features. Shopify is secure so forget about site security. Sites run on a https.